They Need To Be Fed is back for its third outing, featuring a ton of new stuff, while also improving upon its precursors. You’ll still be going on a diamond collect-a-thon while dodging various hazards and puzzling your way between platforms, only to be eaten by a monster at the end of each level, but is that such a bad thing? Even though I’ve only played the first game, I’m still gonna answer that with a resounding “heck no!”, and move onto what makes They Need To Be Fed 3 a (potentially) noteworthy sequel. For starters, everything looks to have gotten an overhaul, with bigger, more dangerous levels, while keeping the tried-and-true “defy gravity by jumping between circular platforms” gameplay. Well, if it ain’t broke. 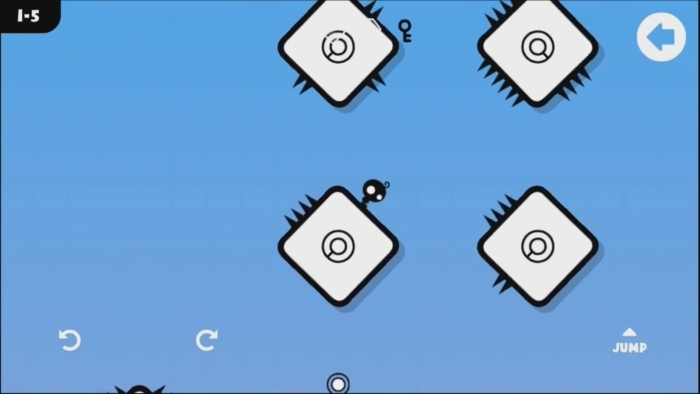 “They Need To Be Fed” is a platformer game in which you can walk in all directions: 360 degree gravity ensures you can never fall off. But the big new thing this time is a mode called ‘adventure’, which is completely separate from the main stuff. Here, you’ll find less stressful levels, perfect for some casual exploration, as opposed to the usual craziness of searching for diamonds. Avoiding spikes is noticeably more challenging when you have to deal with both gravity and deadly hazards at the same time, after all, so being able to face something less tricky is a welcome change of pace. Oh and if you don’t believe me, do take on Epic Mode (which makes a return from They Need To Be Fed 2). Not only is everything upside down there, but a lot of new dangers have also been thrown into the mix. Needless to say, only for truly skilled They Need To Be Fed players. Good luck. So what’s not to like about all that, eh? Well, apart from the fact that it hasn’t been ported to PC yet, of course. If this tweet is any indication, that just might happen at some point, however. Time will tell. For now, there are monsters to feed (a third time), on iOS and Android! They Need To Be Fed 3 is available for iOS (universal, iTunes) and Android (Google Play), with a $1.99 price tag.